I know we all think our moms have the best recipes and I'm no different. But seriously, this is the best egg bake recipe I have ever tasted. Ever. 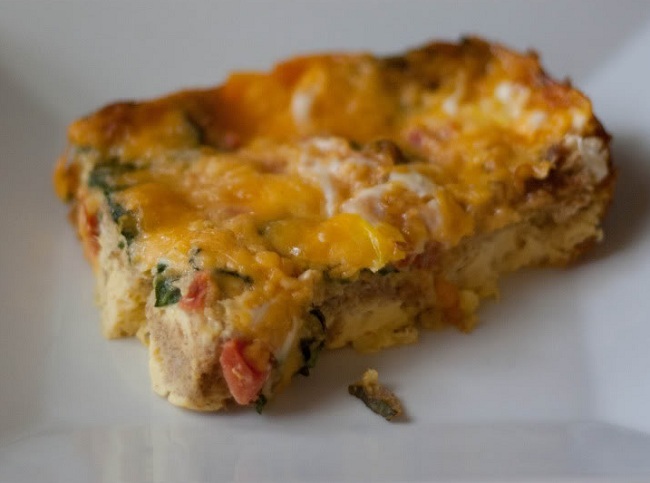 My mom has tweaked it to perfection and now I enjoy it pretty often as a yummy (and oh-so easy) hot breakfast. I make this anytime it's my turn to bring breakfast to Sunday school because it's so easy and can feed a crowd. I mix it up the night before and just pop it in the oven in the morning! Takes about 1 hour from start to finish.